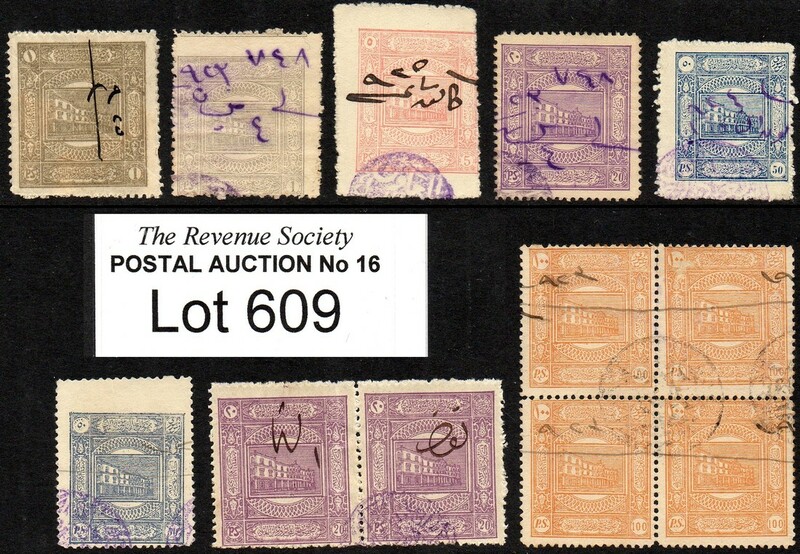 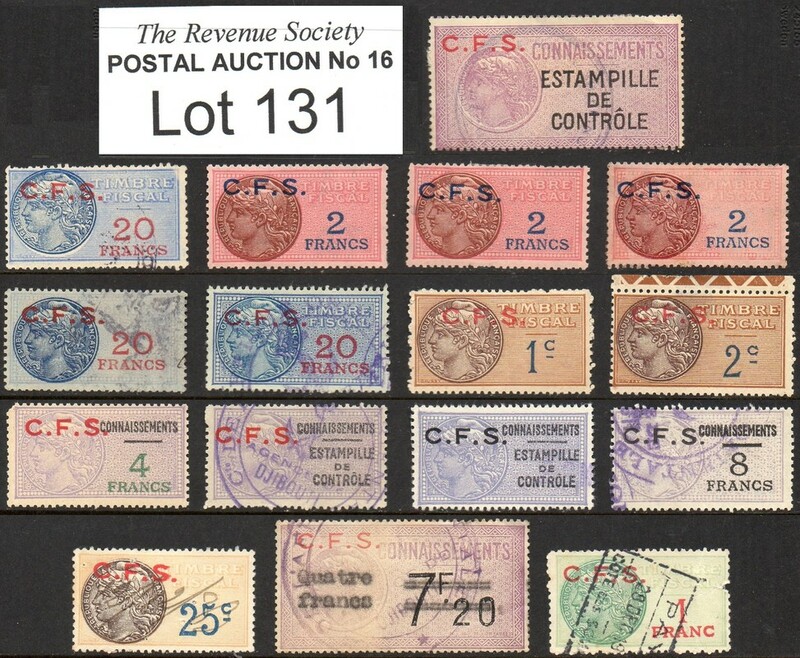 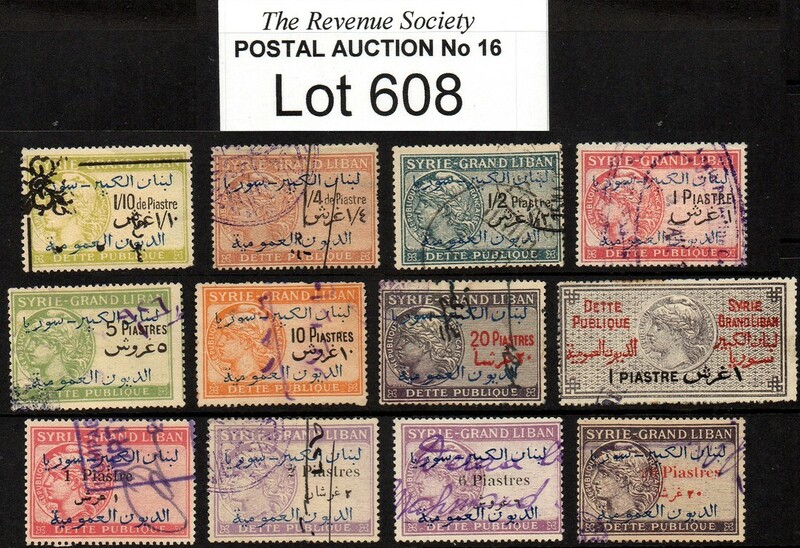 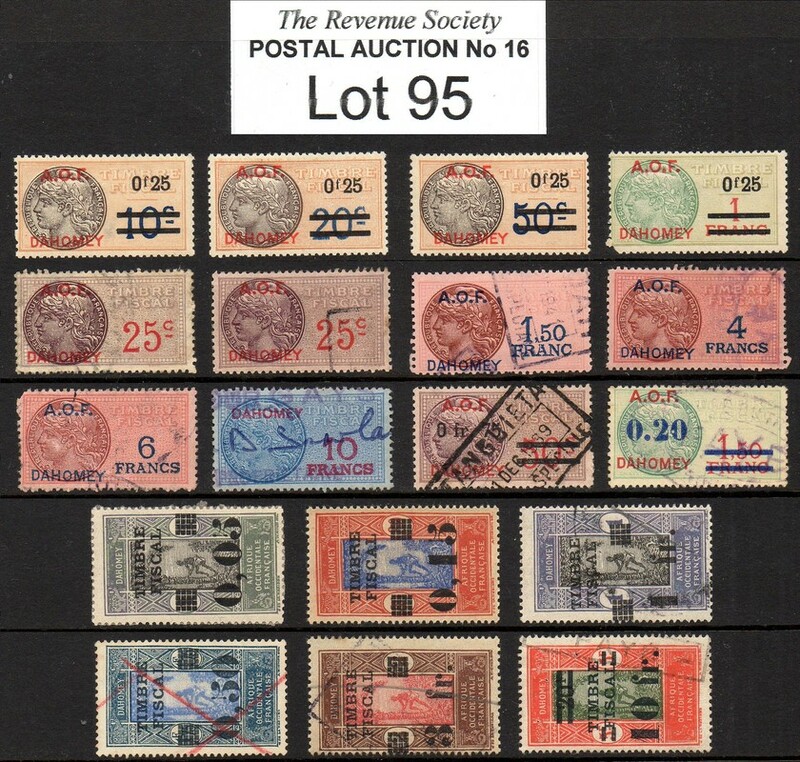 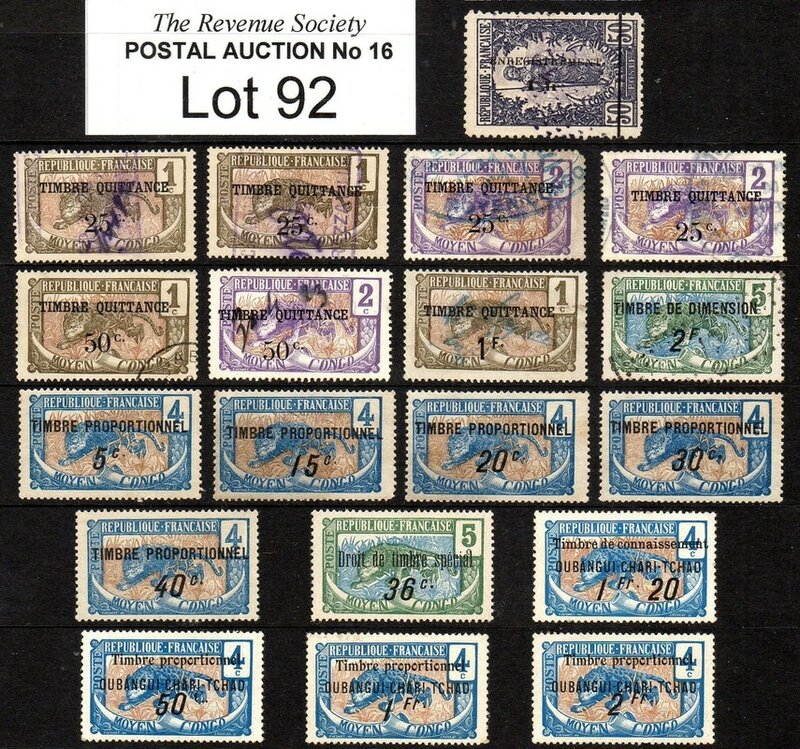 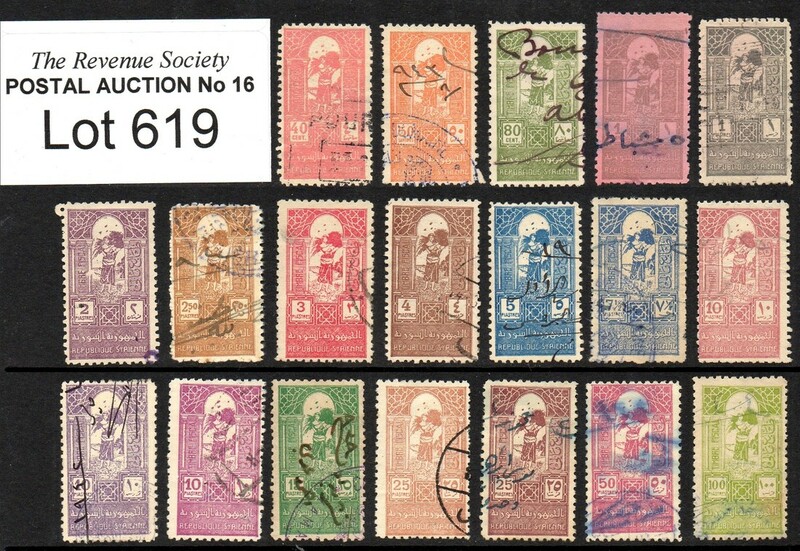 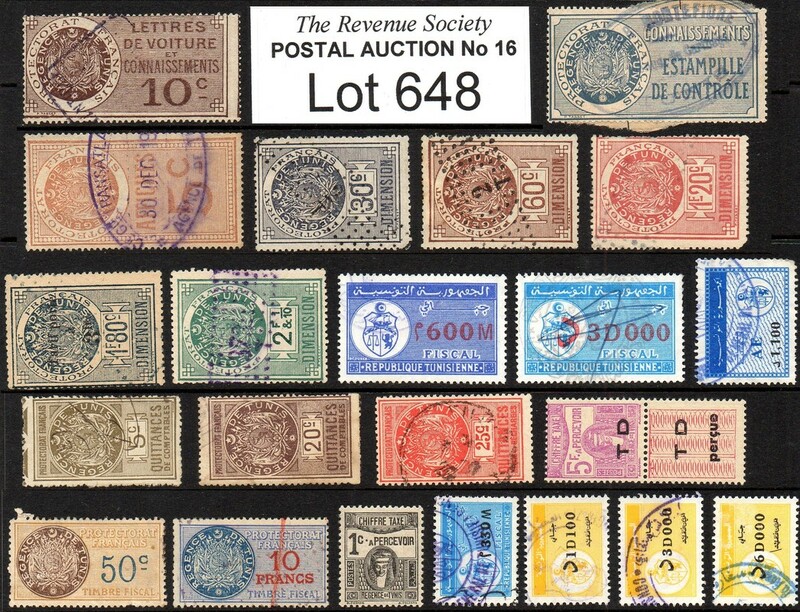 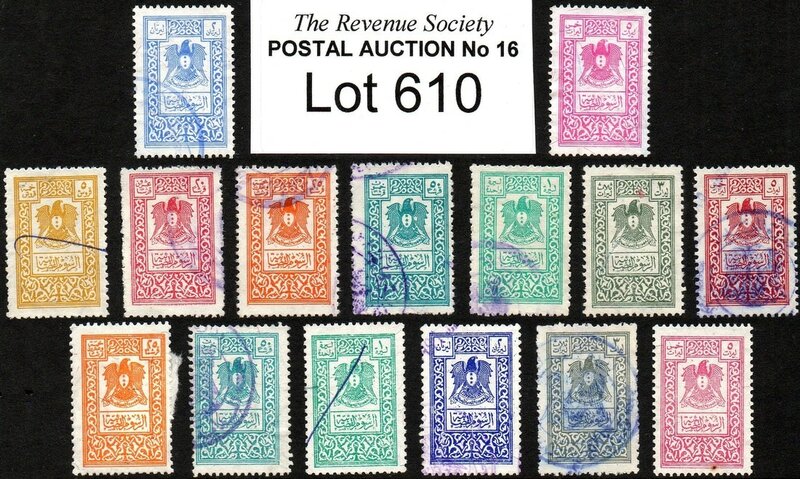 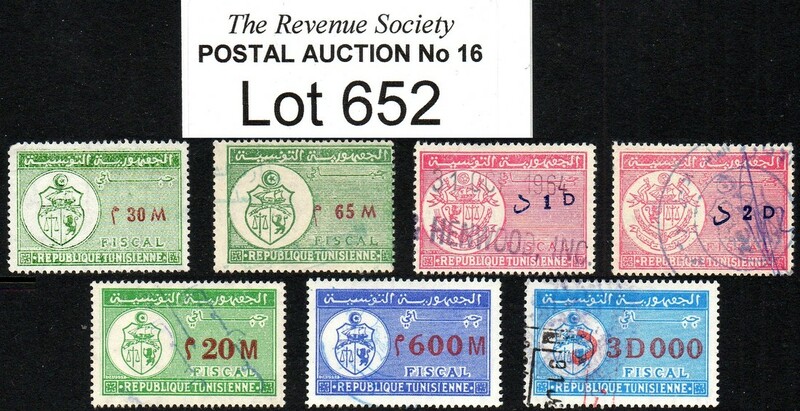 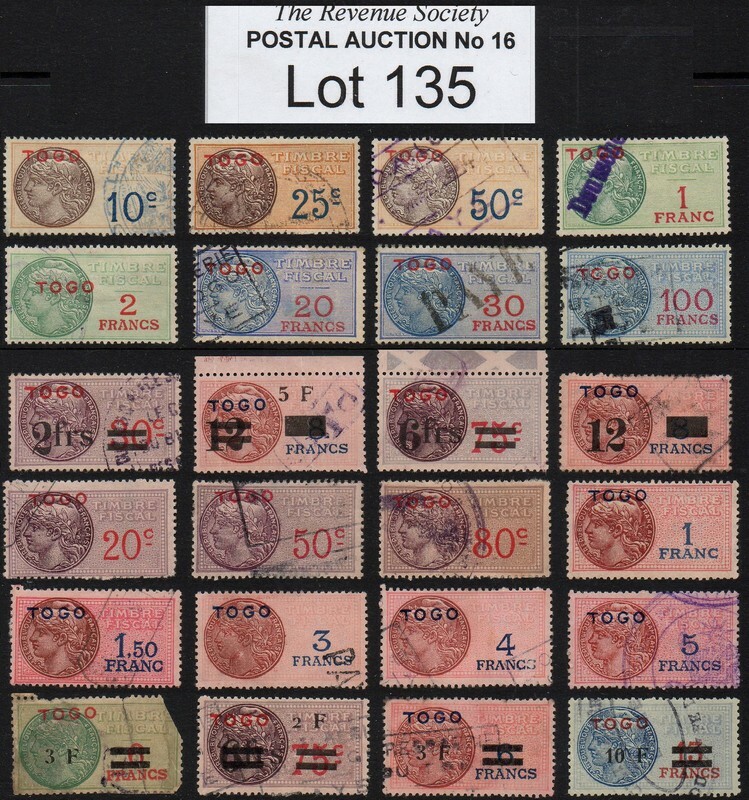 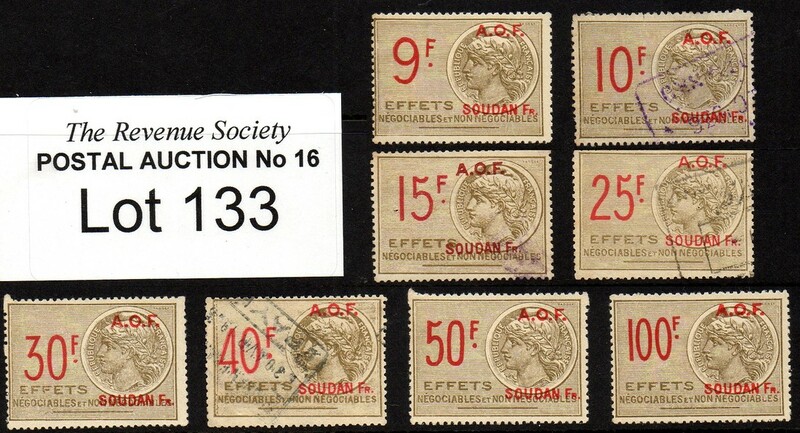 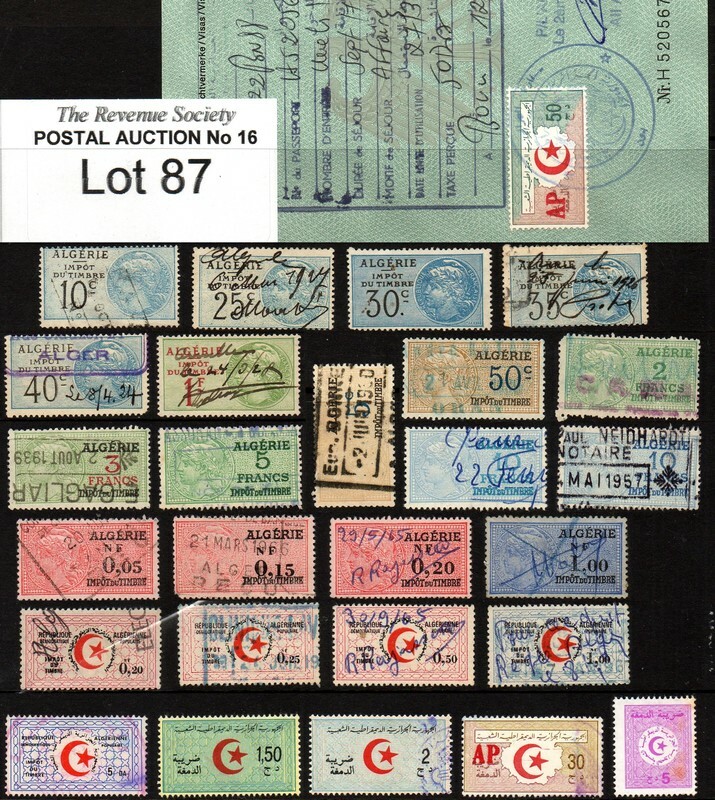 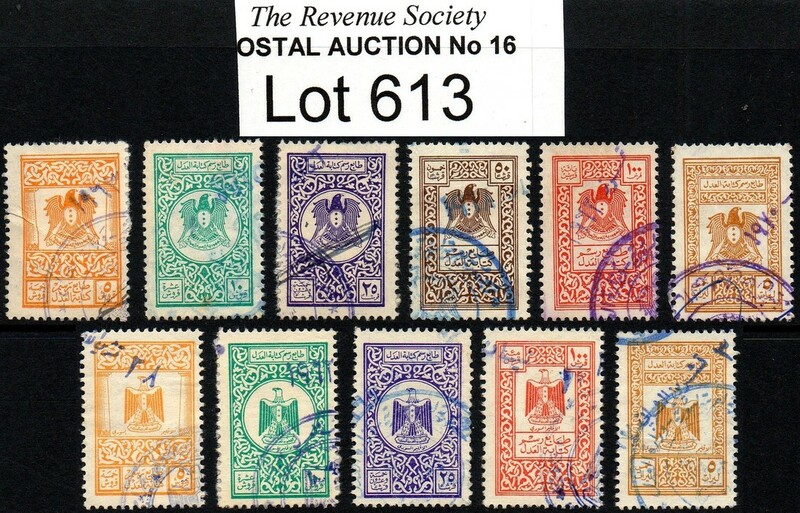 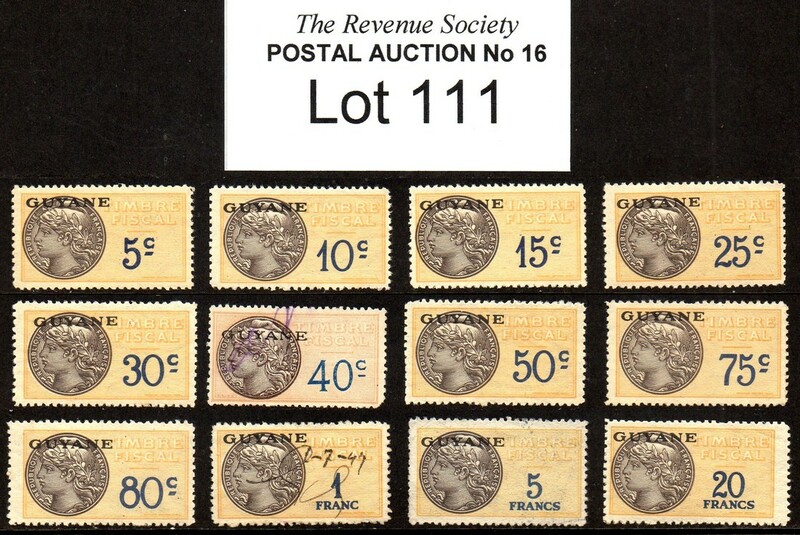 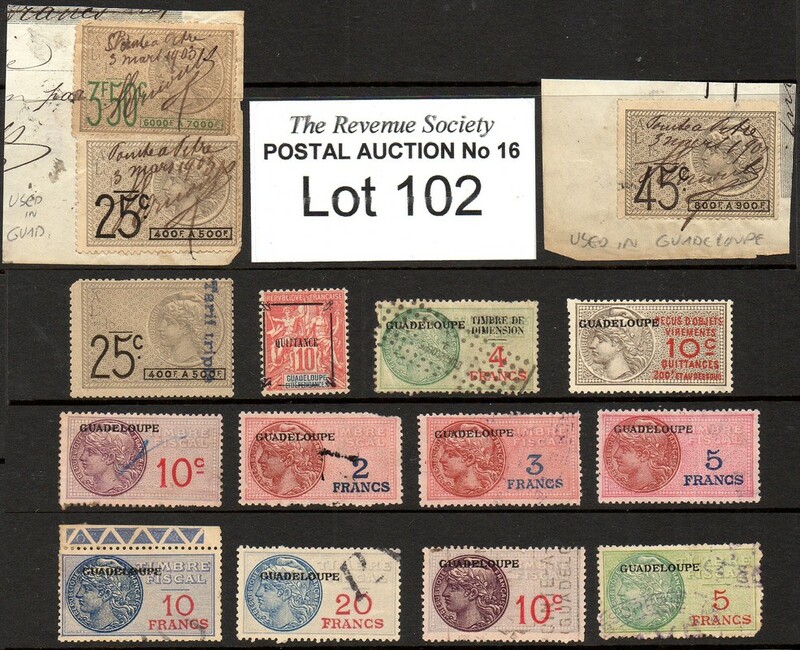 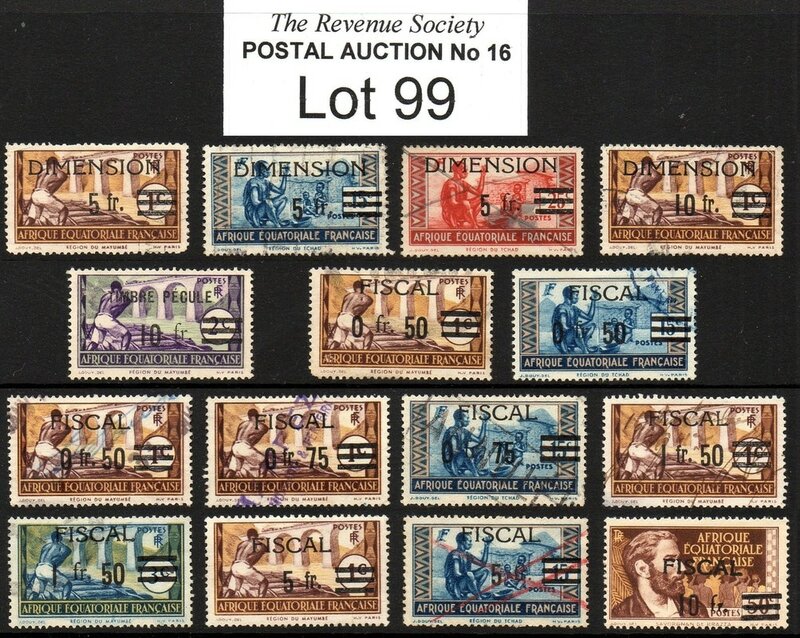 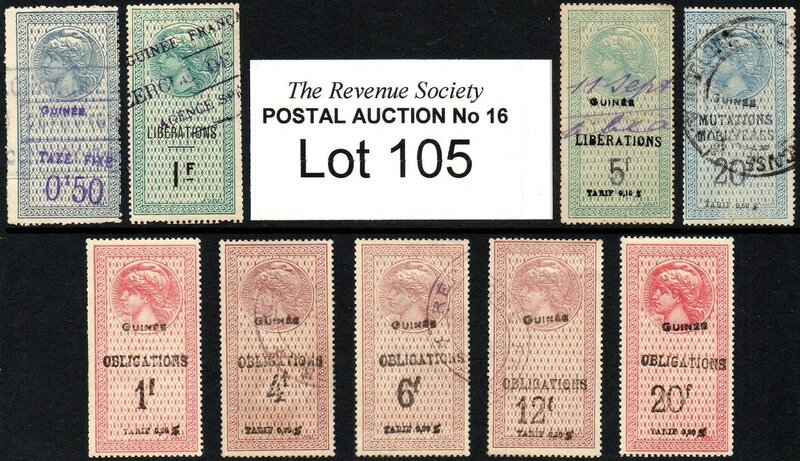 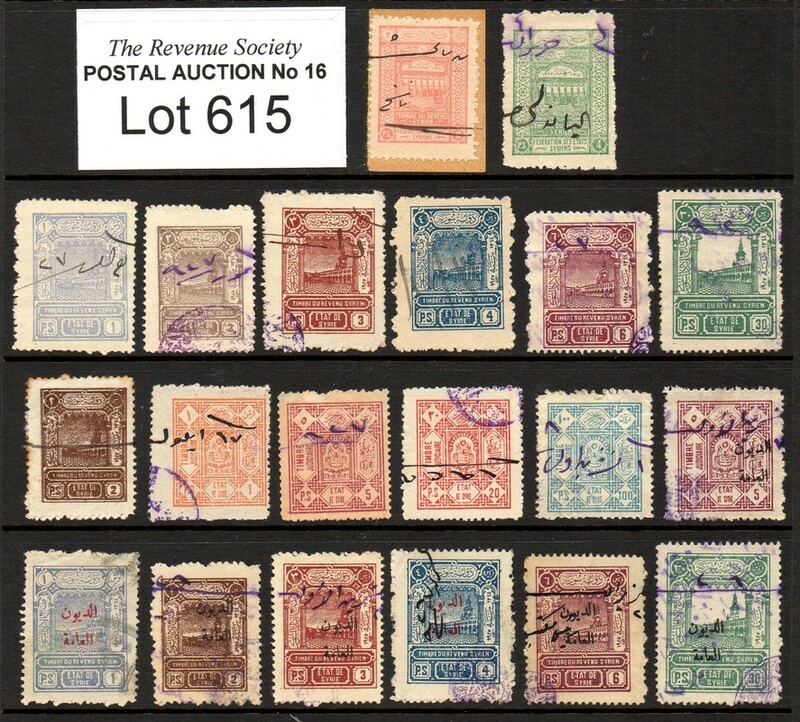 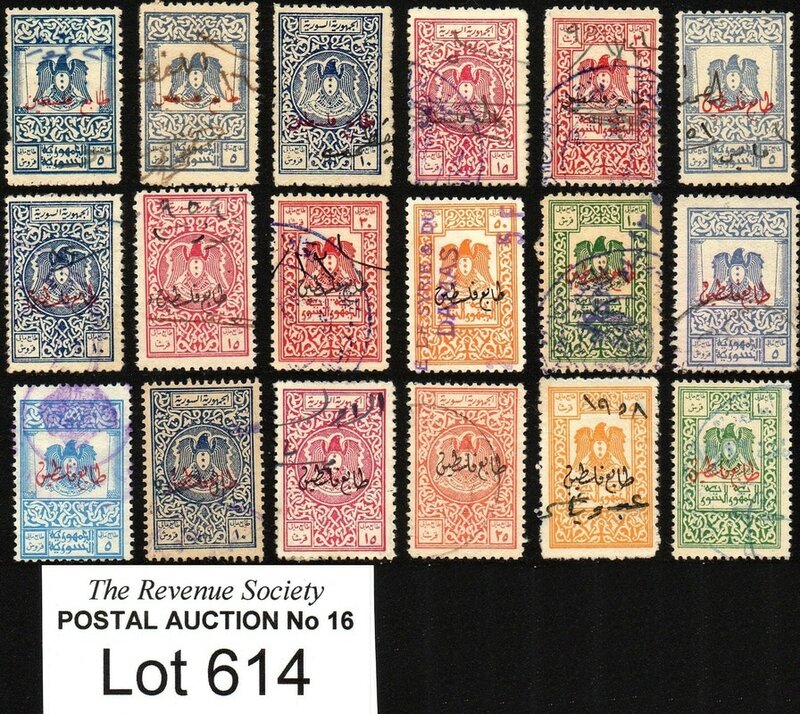 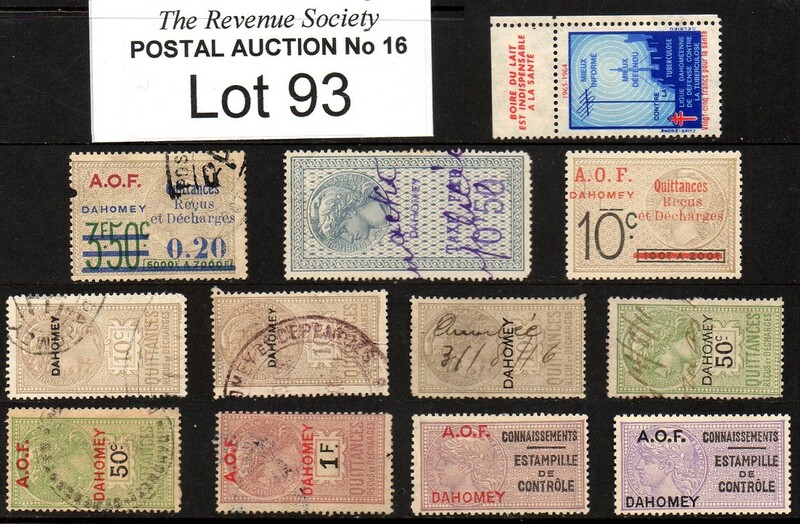 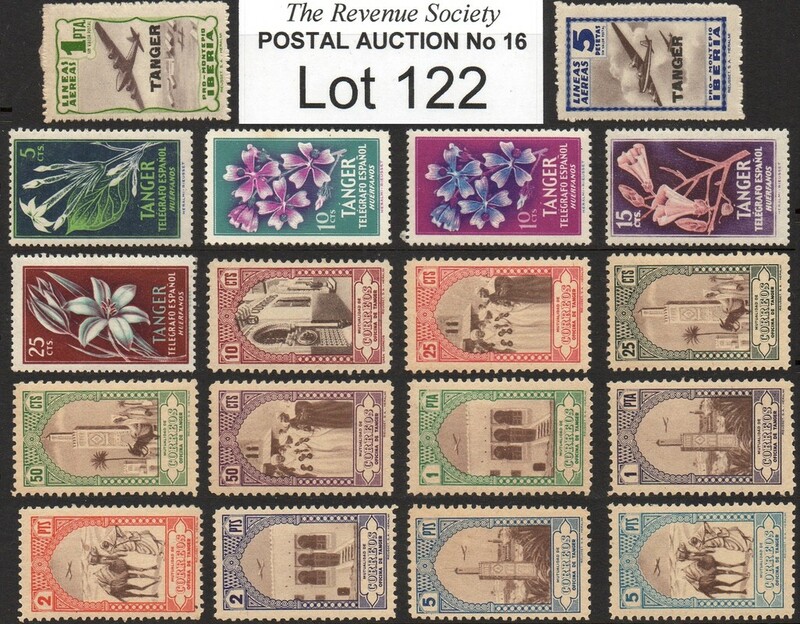 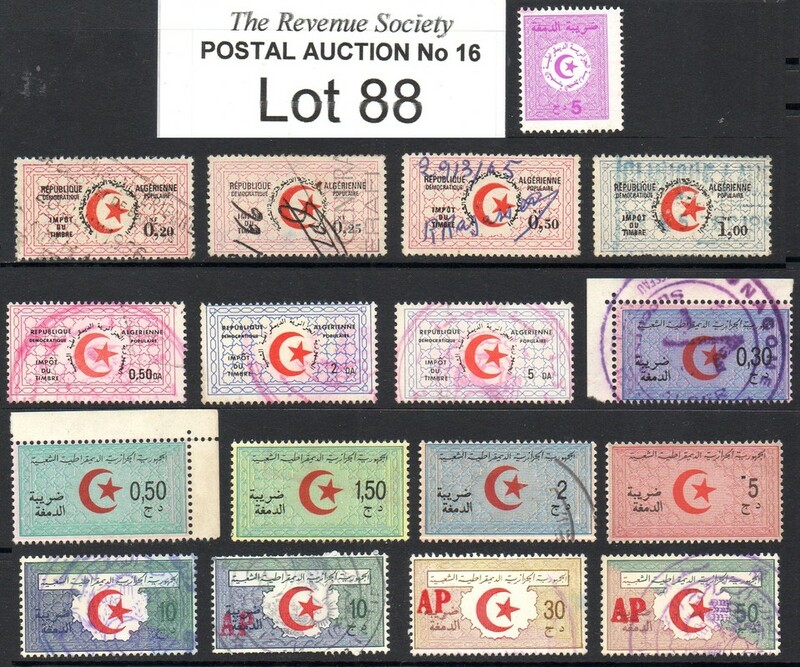 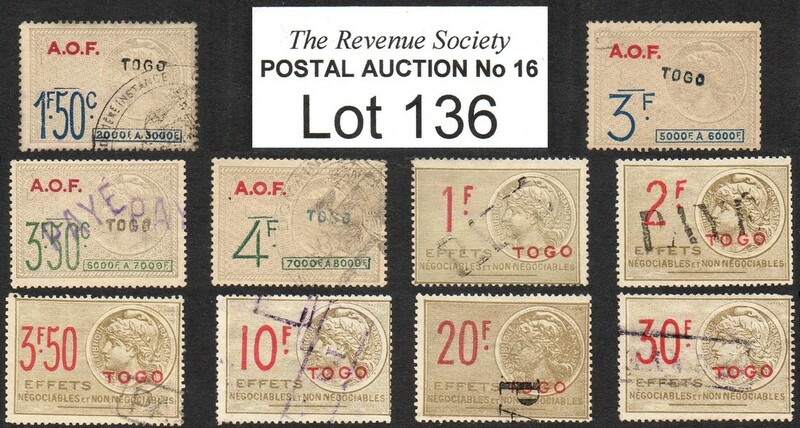 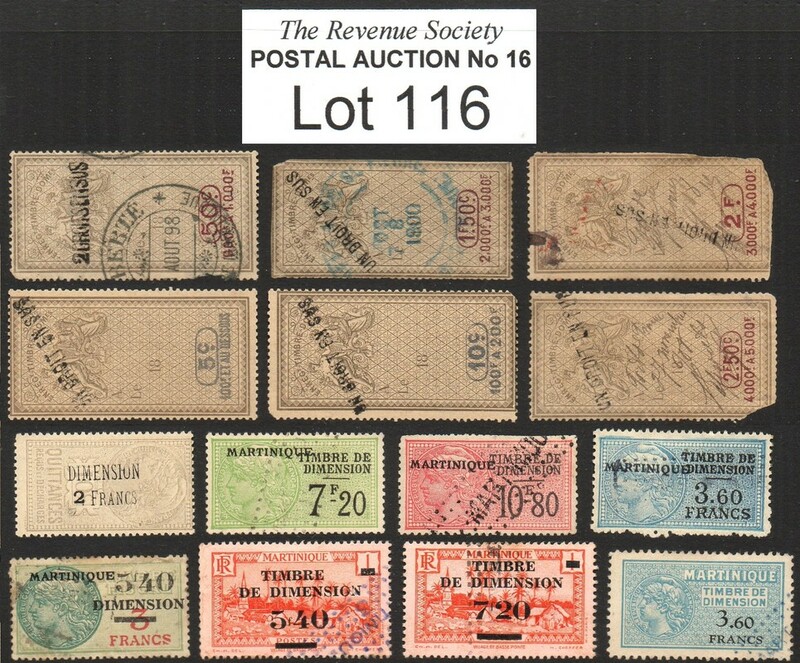 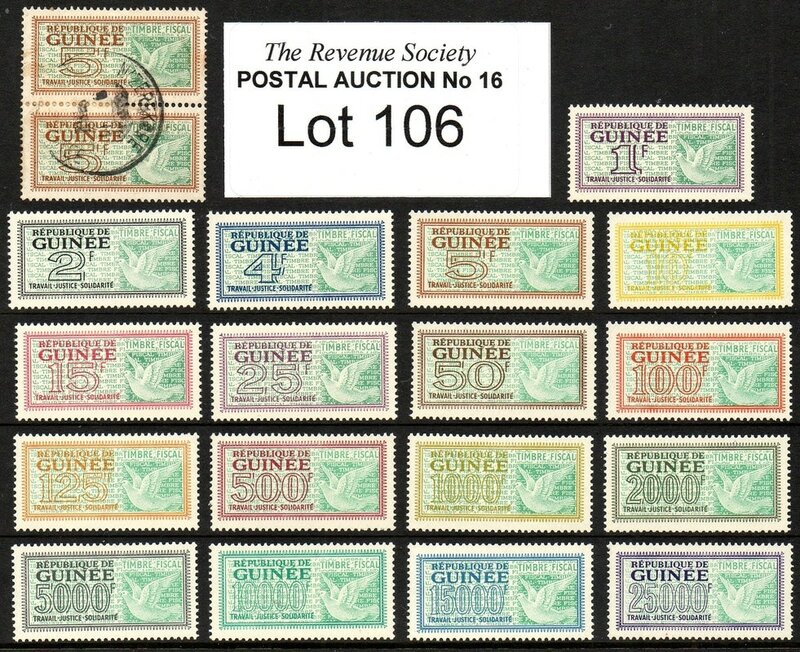 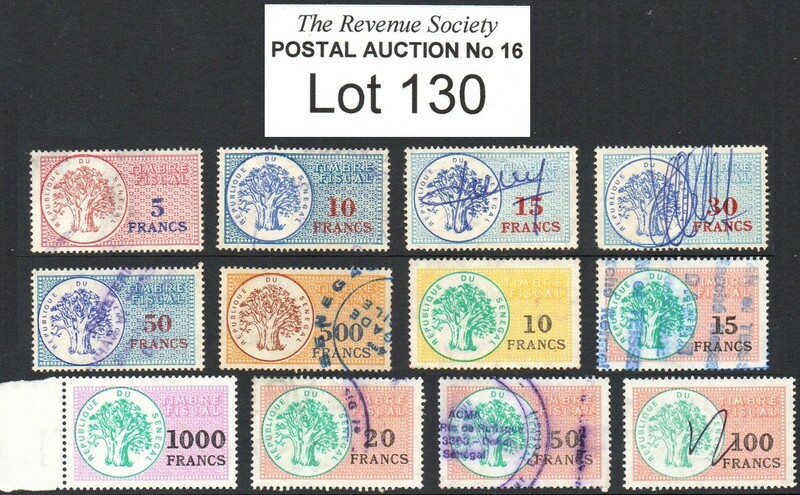 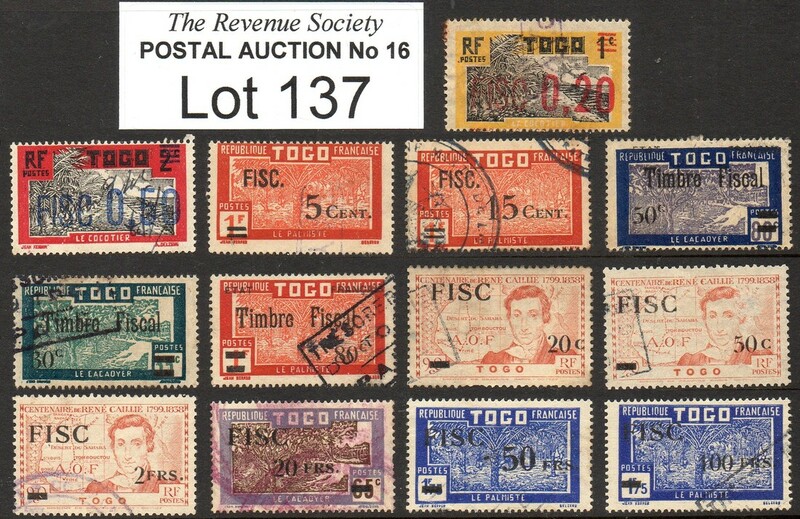 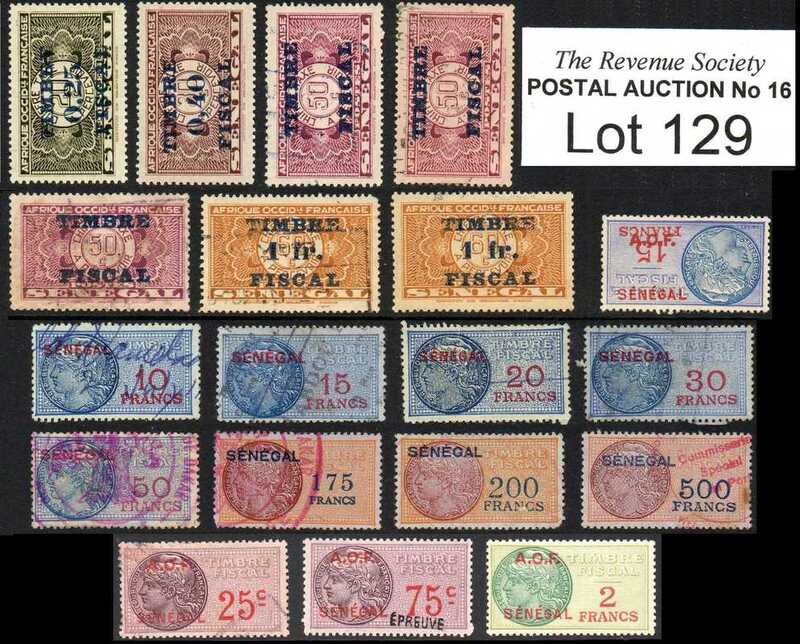 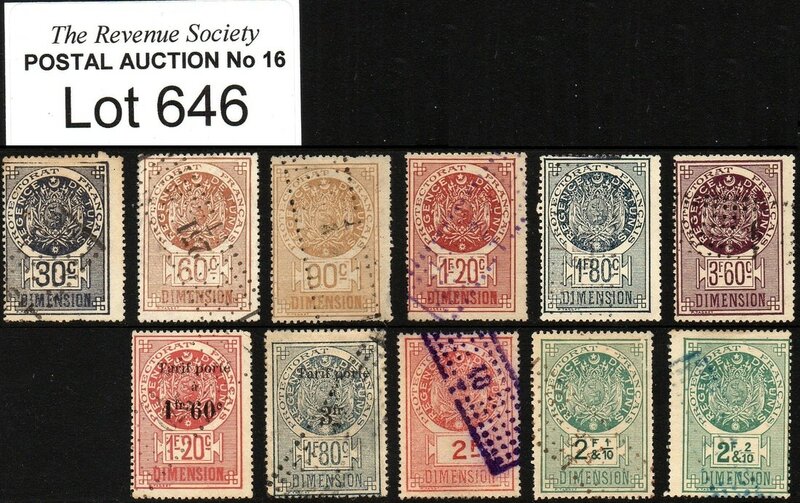 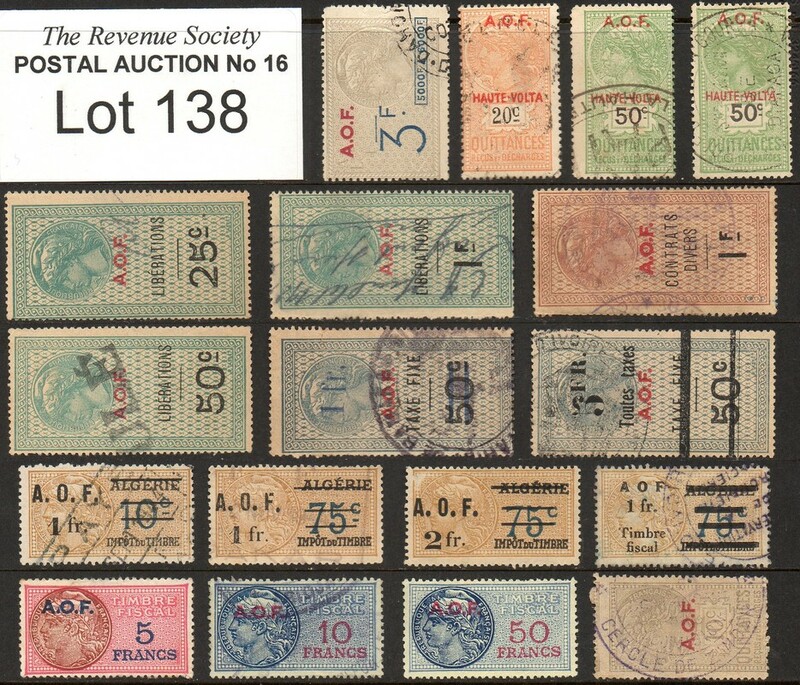 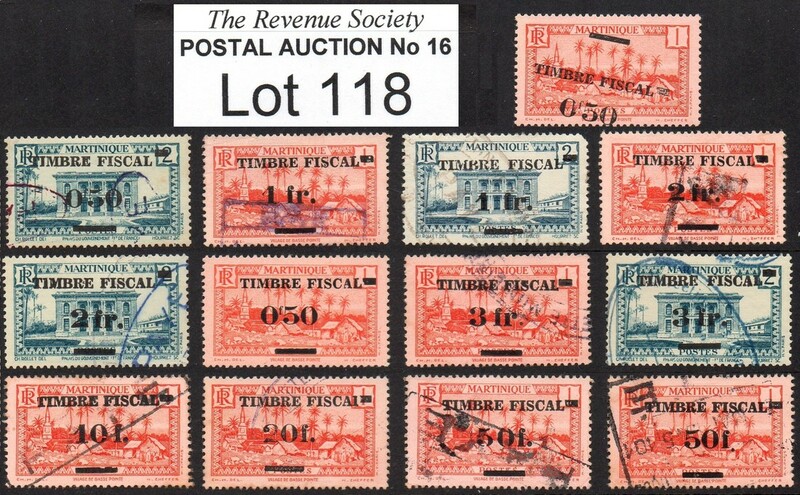 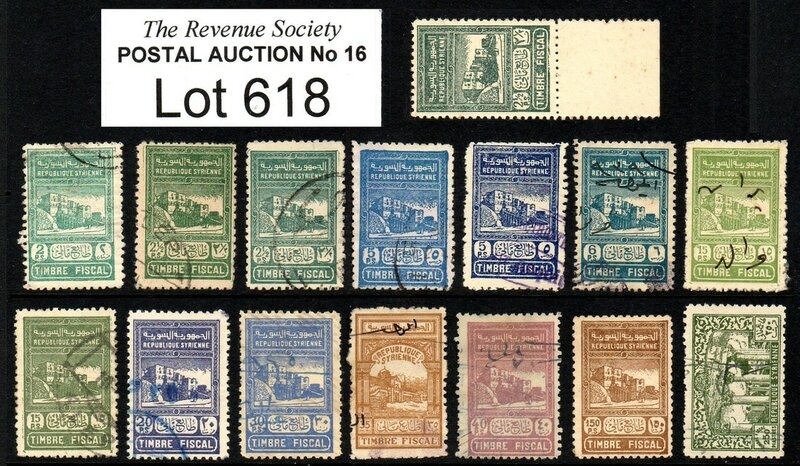 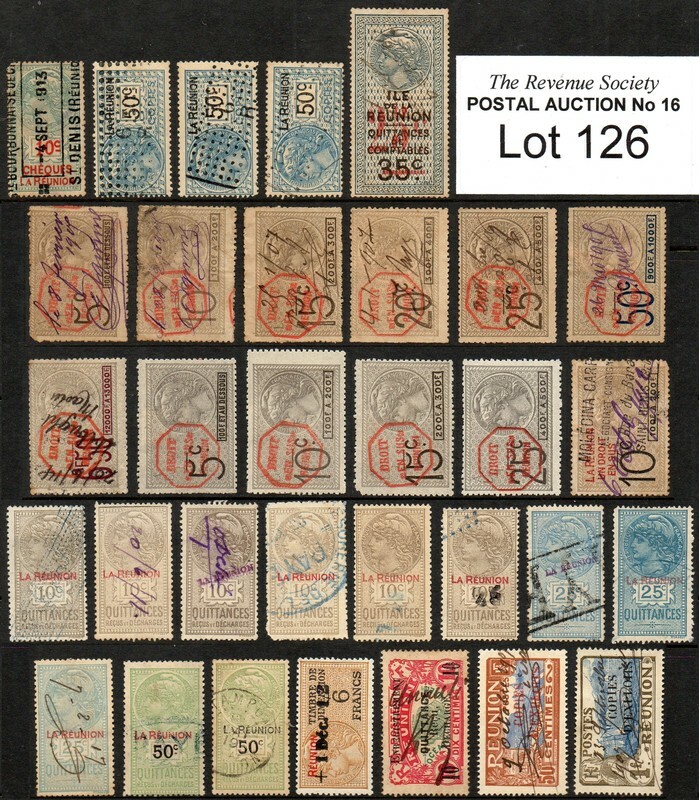 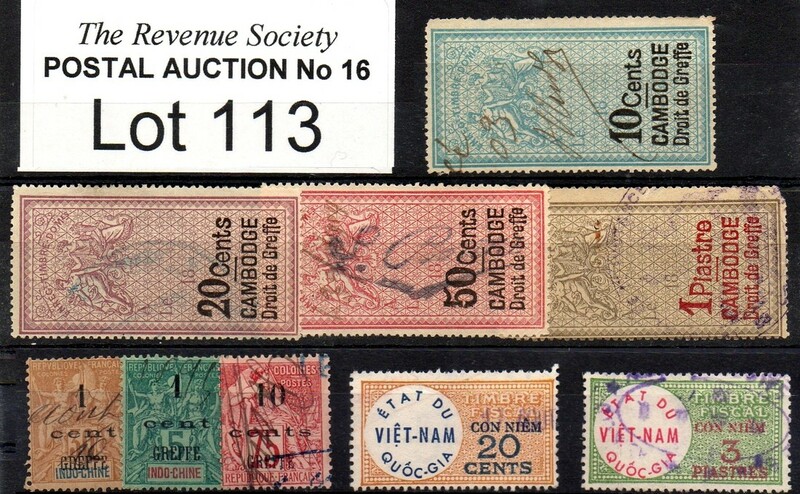 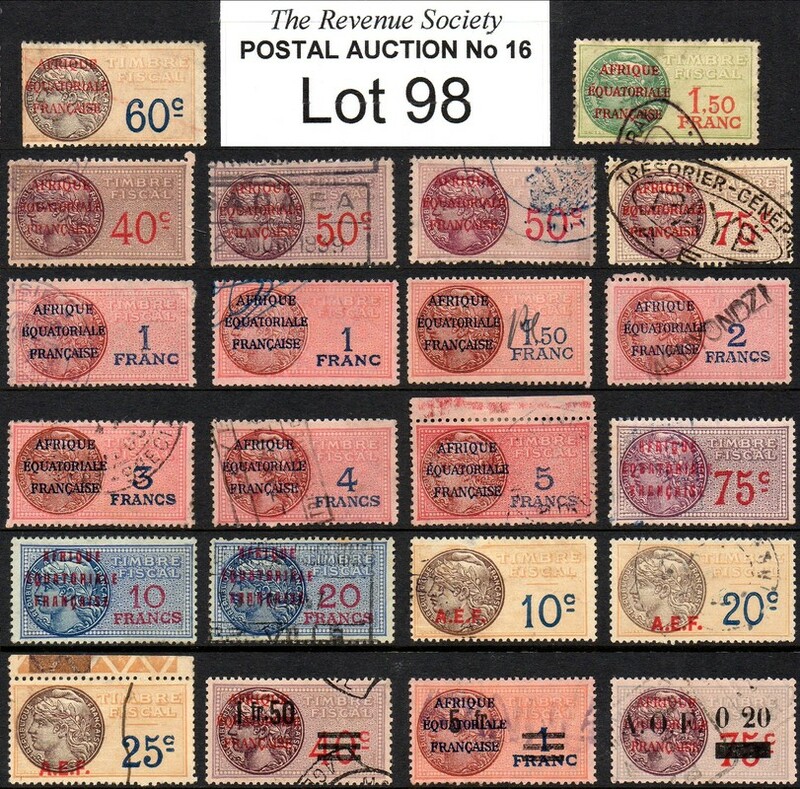 The Revenue Society's 16th postal auction closes on Saturday 13th May 2017. 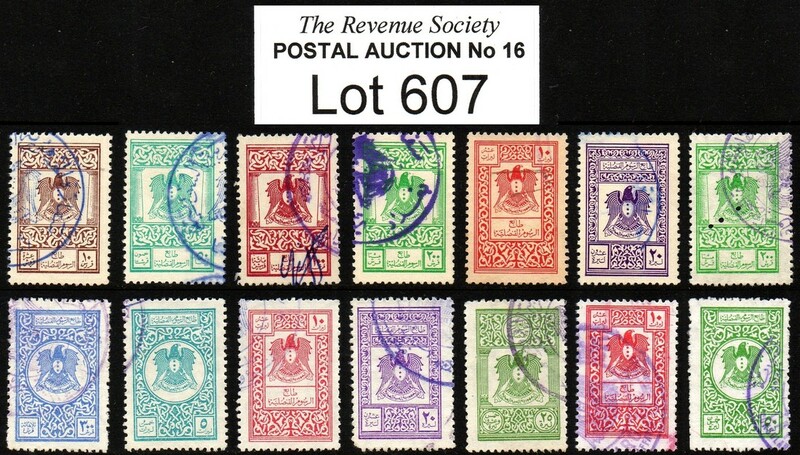 The catalogue can be found on the Revenue Society website here. 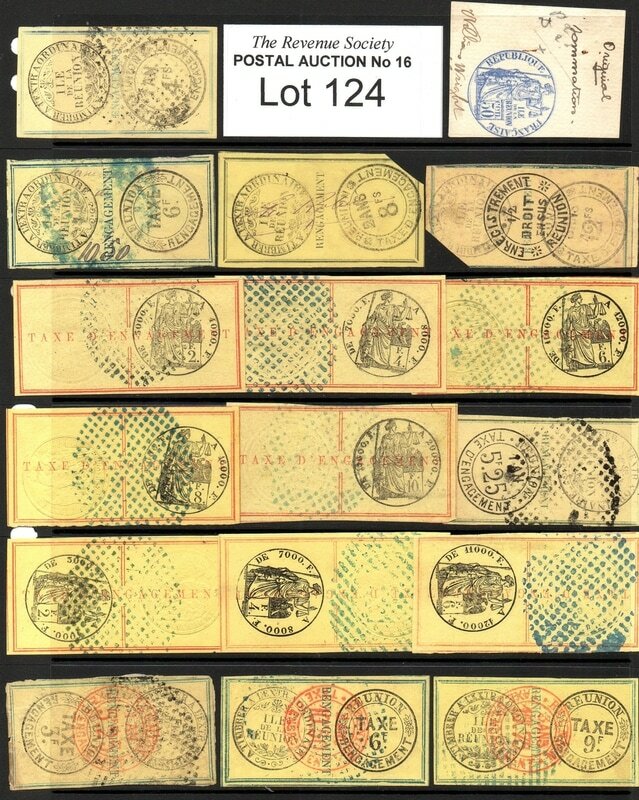 The bid form (including full terms and conditions) can be found here. 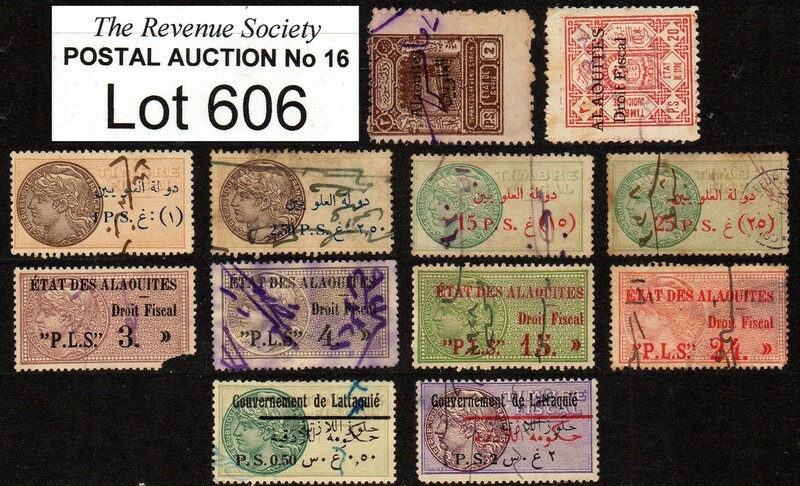 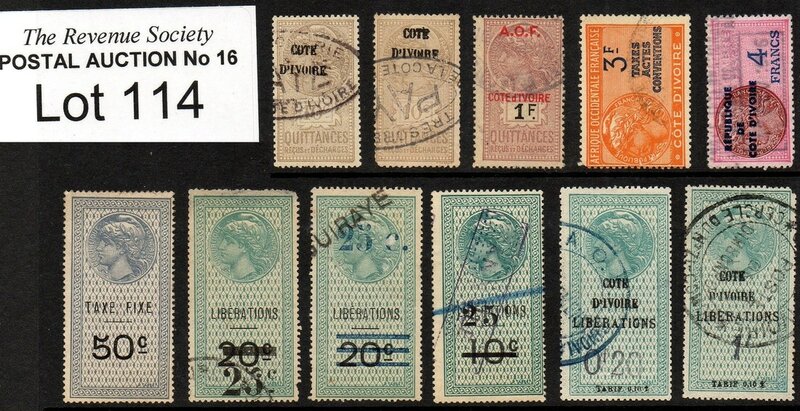 This year's auction includes a specialised collection of French Colonies revenues, as well as strong offerings of British Commonwealth Empire, Middle East and GB. 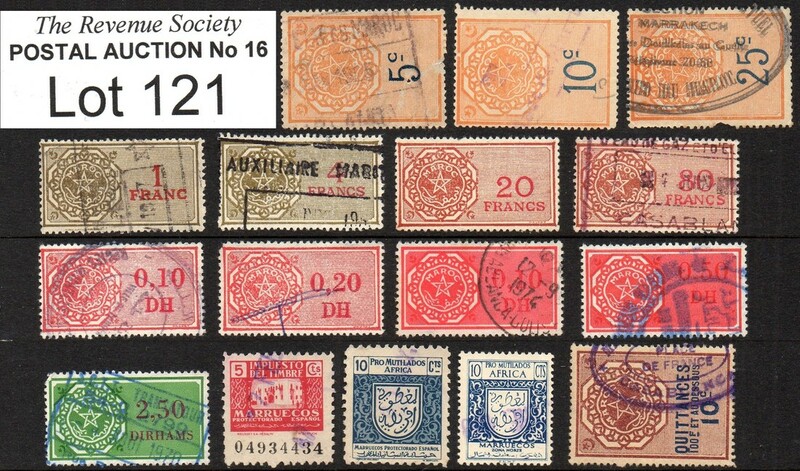 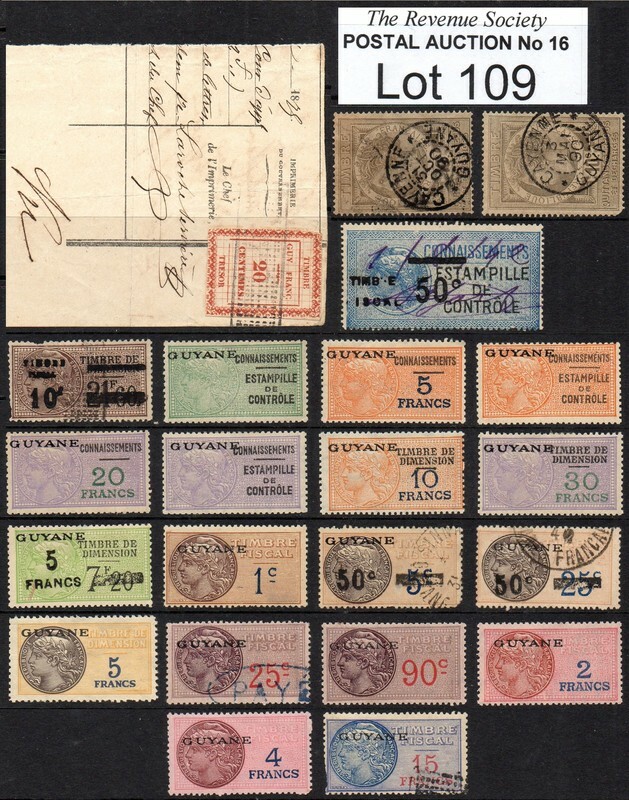 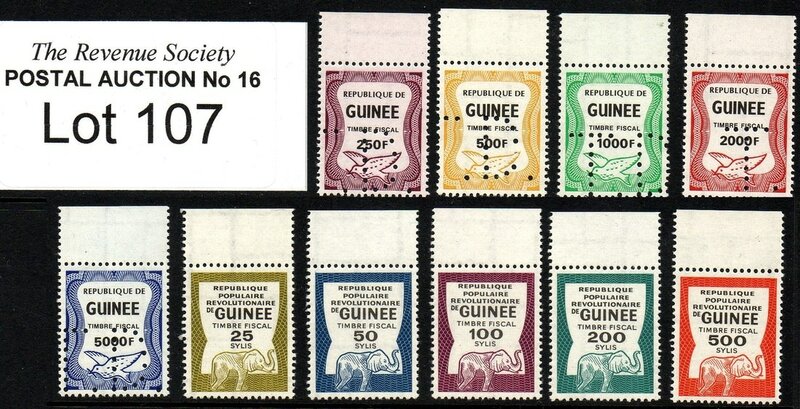 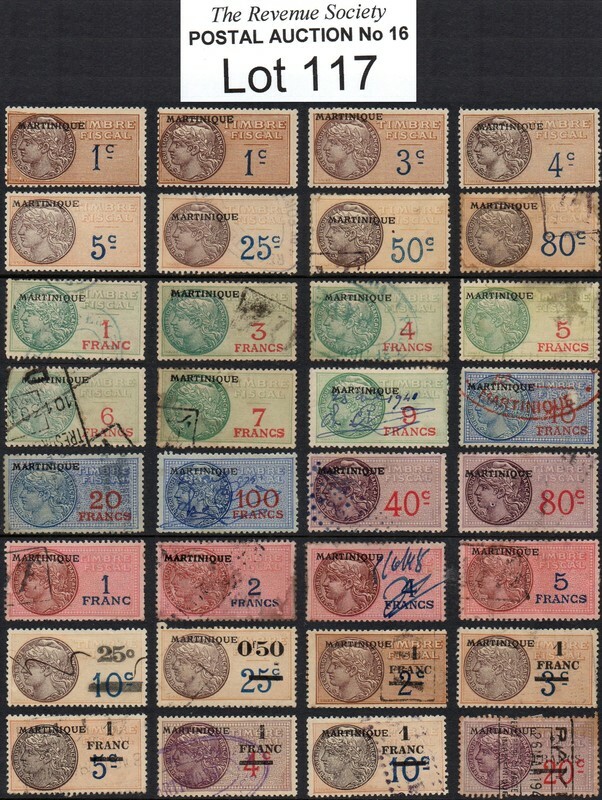 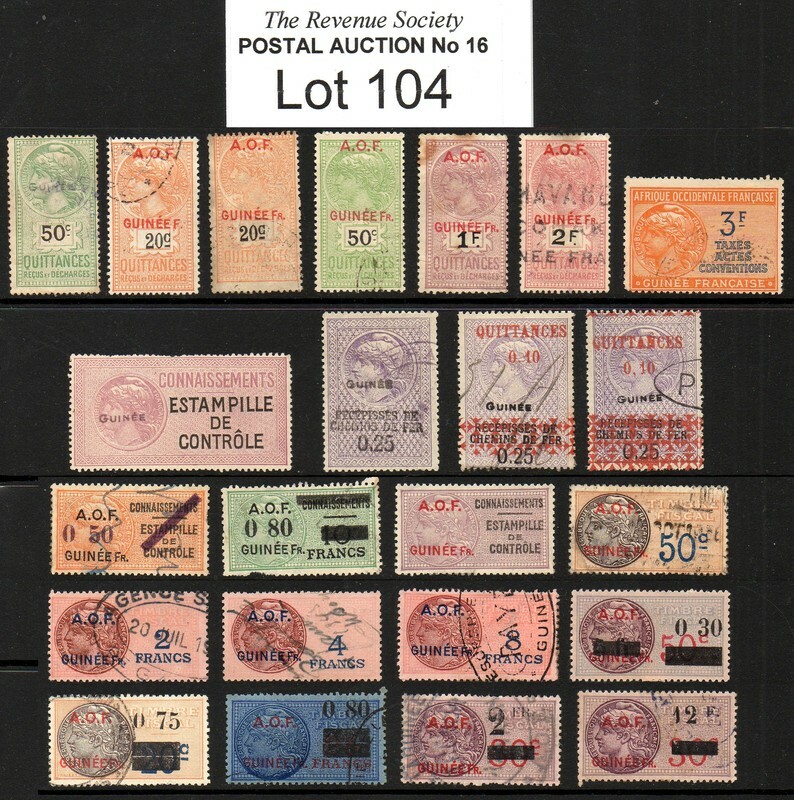 ​A number of people have already contacted me about the French Colonies lots, so for their benefit and for the interest of others I will post full scans of the lots on this page. 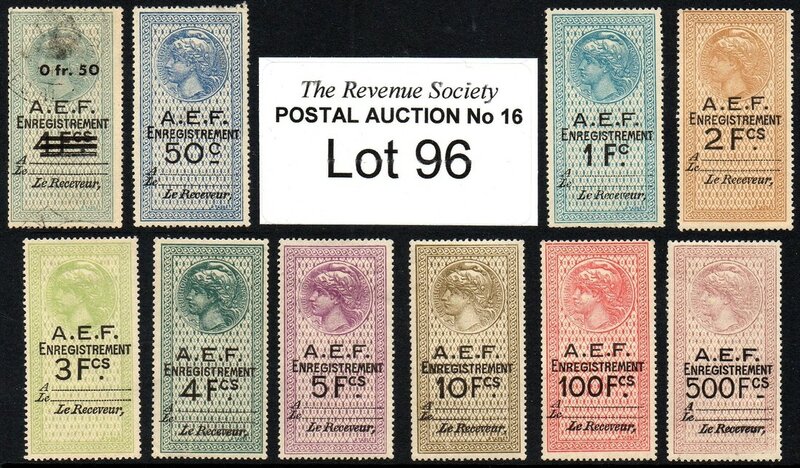 If you would like further information about any auction lot, please contact me as soon as possible. 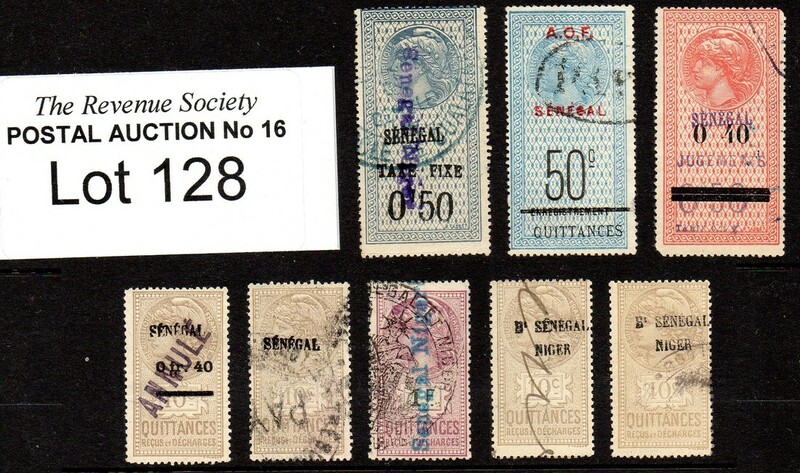 Further scans will appear on this page in due course. 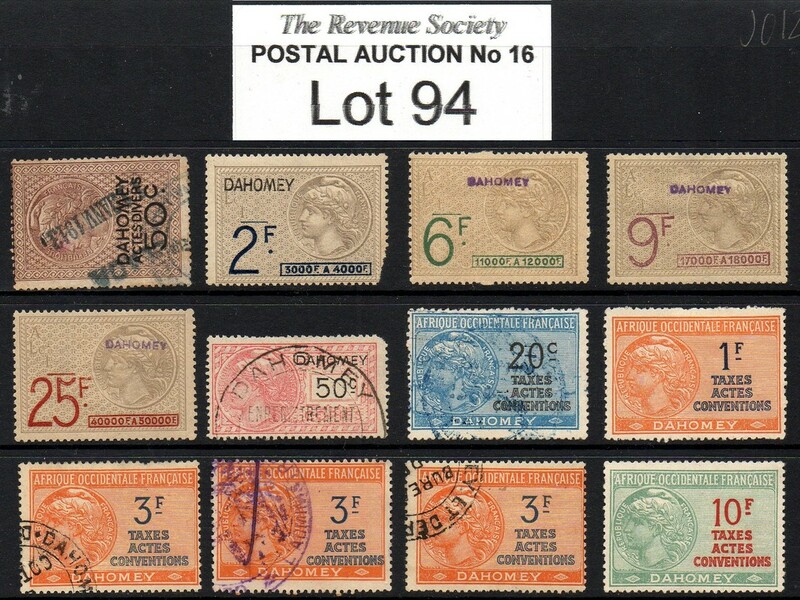 If you would like a scan of any lot not shown here, please contact me.